Poe Paddy State Park is at the confluence of Big Poe Creek and Penns Creek, a trout angler’s paradise featuring the nationally recognized green drake mayfly hatch in June. Hikers enjoy the Mid State Trail. Poe Valley State Park is nearby. Access cannot be guaranteed in winter. Contact the Reeds Gap State Park office for facility seasons and hours. 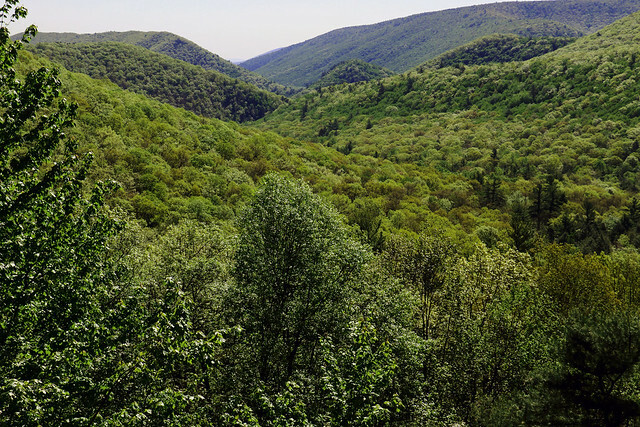 From US 322, near the top of Seven Mountains, follow signs for Poe Valley State Park. On Poe Valley Road, continue past Poe Valley State Park for three miles to Poe Paddy State Park. From Millheim, go west on PA 45 for 1.5 miles, then follow signs south for 12 miles to the park. No paved roads lead to the park. CAUTION: Access to Poe Paddy during the winter months may be limited. Winter maintenance is not performed on park roads or state forest roads that access Poe Paddy. Caution must be used when traveling to Poe Paddy during the winter season, especially since roads are joint-use with snowmobiles.